"They have well-maintained bushes that make picking very easy and kid friendly. It’s also fun to join others in the community picking and eating healthy food! I love supporting this farm." "We LOVE Berryhill Farm. We are always greeted with a smile and my boys love picking the berries. We even bring family and friends to pick with us from out of town. See you again at the next U-Pick!" "There is nothing like picking fresh fruit. I am grateful they are doing this and will continue to support this family-run business as long as possible." "One of my favorite summer activities! This is a lovely farm with beautiful blueberries, blackberries, and raspberries." 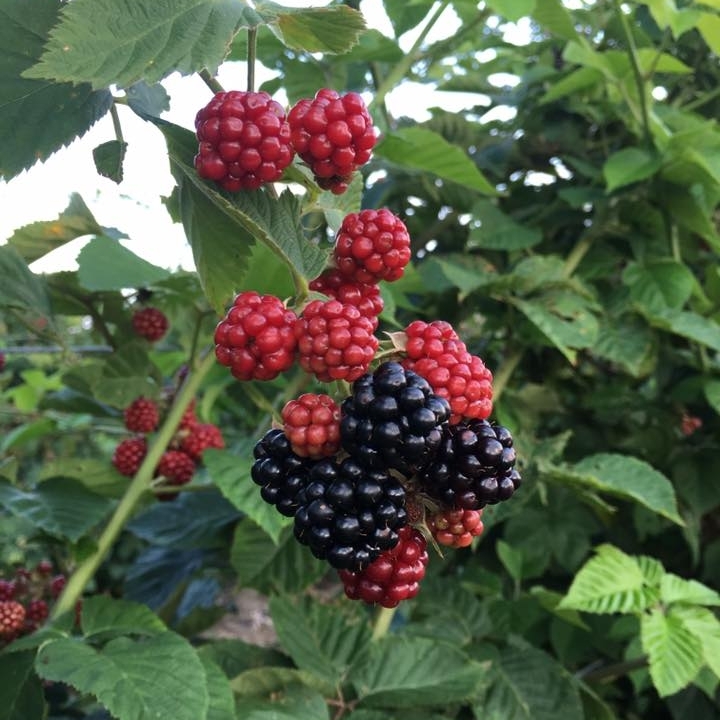 "My family and I had a fantastic time picking raspberries and blueberries at Berryhill Farm! The fields are lovely, the berries are huge and delicious, and the staff were very kind and helpful. We are already excited to return next year!!" "Love this place. Beautiful countryside and friendly people."